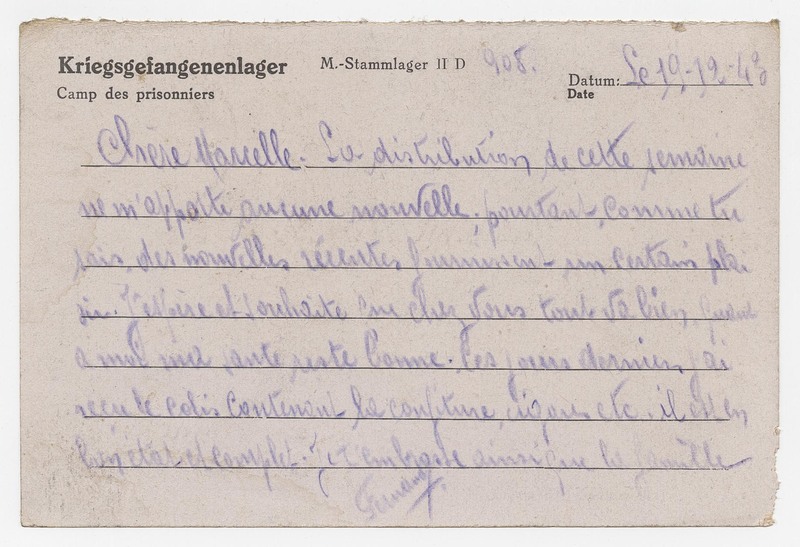 The last large correspondence is from Pierre Prunis who was prisoner in Stalag II D (Stargard). 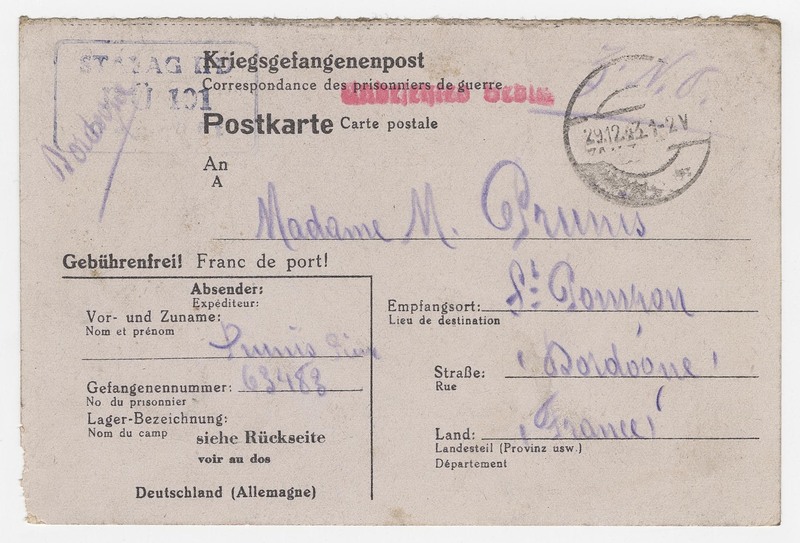 It contains 84 letters and 55 cards from November 17, 1940 to May 28, 1944. There are some missing items but the series is nearly complete for that period.